When I was assigned to Angel’s Homestead this month for November’s Secret Recipe Club, I immediately glommed onto April’s recipe for Gingersnap cookies. You see, I’ve been planning on making my sauerbraten recipe and it calls for gingersnap cookies to make the lovely and thick, pungent gravy. Nothing else matches the flavor of that gravy and I thought that the addition of my own homemade gingersnaps would really take it one step closer to heaven. April’s recipe is SUPER FANTASTIC! So much so that I even stole here cute little idea of tying up a neat little stack of cookies with a red bow for the “beauty shot”. -In the bowl of a stand mixer, or a large bowl with a hand mixer, cream the butter and sugars until light and fluffy. -Add the molasses, egg and vanilla. Blend. -In another bowl, whisk together the flour, baking soda, salt, cinnamon, ginger, cloves and nutmeg. -Add the flour mixture into the butter mixture, in small batches, until all is incorporated. -Chill the dough at least 30 minutes before moving onto the the next steps. -Once chilled, roll the dough into golf ball sized pieces and then roll them in some additional sugar to coat each ball. **Note – If you’re using the cookies for sauerbraten, omit this step** I did half and half. -Place the cookie balls evenly onto a parchment lined baking sheet. -Bake for approximately 15-17 minutes (slightly less if you like your cookies a little softer), until they’ve flattened considerably and are crispy in texture (hence the word ginger”snap”). -Cook on a baking rack. For dipping, I just used some Cool Whip and a little red and greed sanding sugar to make it pretty. I also used some canned pumpkin mixed with some Cool Whip and a little brown sugar (not shown) to make a dipper that we used one night for company. These cookies certainly do not need the addition of a “dipper” as their flavor can certainly stand on their own. However for something a little different, I thought I’d give it a go. Think about dipping these cookies in a little Nutella too…Now THAT would be completely over the top delicious!!! Thanks for your recipe April! I really, really enjoyed it and can’t wait to use the cookies I saved and froze in my sauerbraten recipe! I also really enjoyed working with you for the special giveaway prize to celebrate Secret Recipe Club’s 5000th fan on facebook. I was thrilled to be asked to design something special to commemorate this huge milestone and to celebrate the love we all have for baking. Until we eat again, thanks for visiting my Kudos Kitchen!!! 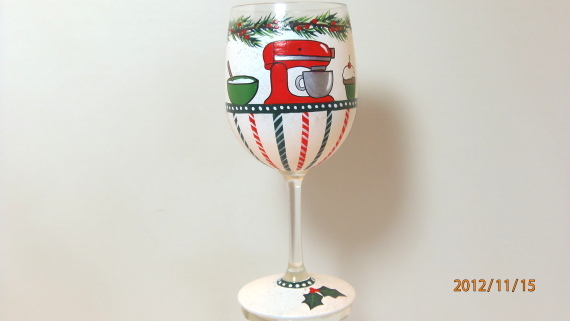 I’m excited to be linking up the post to FOOD ON FRIDAY, CHRISTMAS EDITION. Thanks Carole! Yay, you did a fantastic job on the cookies Renee! I'm so glad you got my blog as your assignment this month. I bet the addition of nutmeg added a great depth of flavor to these cookies, I'll have to try that next time myself. Did you know your blog has inspired me to delve into my heritage, and I will be doing a series on German dishes after the first of the year in honor of my grandpa who was from Germany? I'm thrilled to have been responsible for inspiring you in any way April. I'll look forward to seeing all your German family recipes!!! LOL. Your dog is so awesome! I LOVE Boston Terriers so much! What is she wearing? It's really cute and entertaining! These cookies look amazing! Perfect for Christmas. I agree–a little fresh nutmeg improves most any recipe! Love ginger cookies, these look delicious. 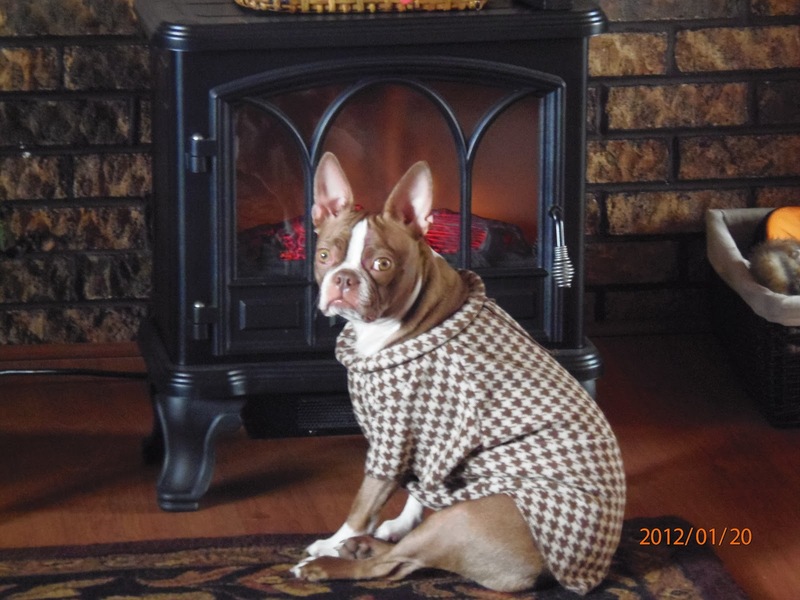 Love Nutmegs coat! 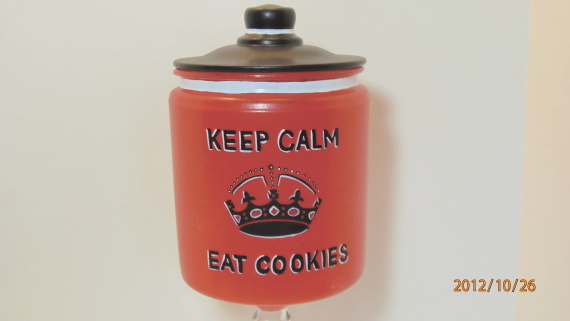 Your wine glass is lovely as is your cookie jar and your gingersnaps look wonderful. Don't you love the aroma in the house when you bake them? Yum! Those cookies look good. Gingersnaps are such a classic cookie – and perfect for the winter months! Freakin' LOVE that dog sweater! Great SRC pick. 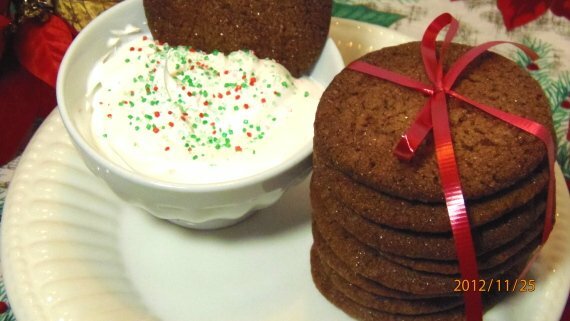 I've been wanting to try making gingersnaps for a long time..your look delicious! Great SRC pick! 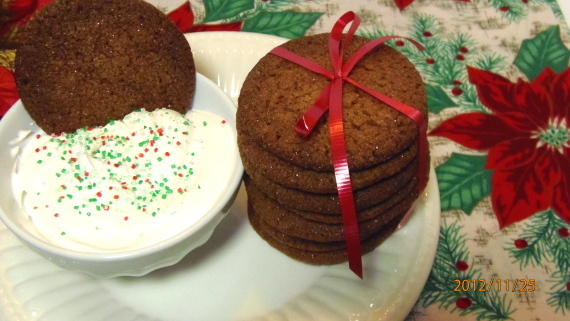 I LOVE the gingersnaps — they remind me of Moravian Spice Cookies which are a family favorite. Thanks for sharing this great recipe.